This post can either be considered right on time or a day too late - anyway you look at it there is always next year or another holiday to celebrate. 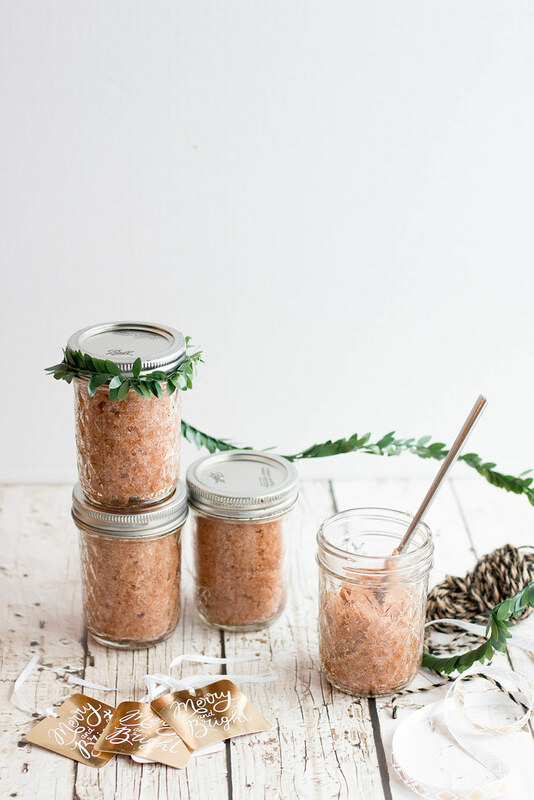 Today I am sharing with you a super easy, yet adorable and thoughtful sugar salt scrub that smells good enough to eat and makes your skin soooooooo friggin' soft. 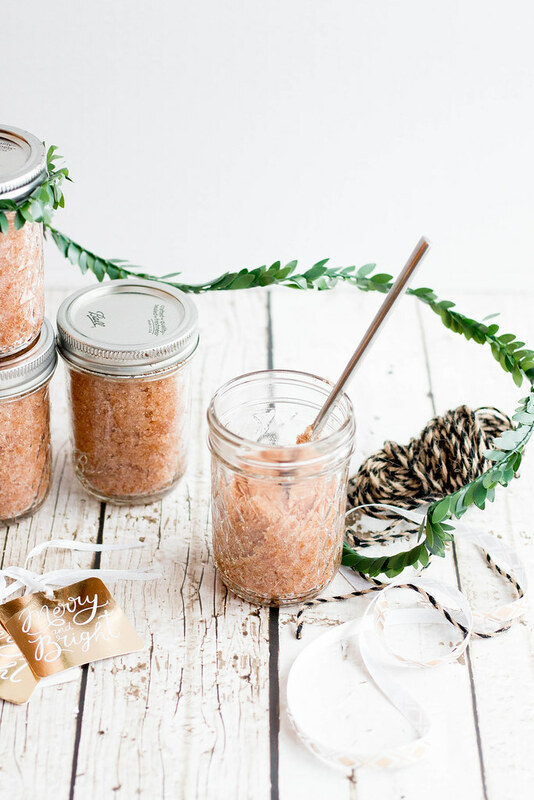 I got hooked on sugar scrubs last year after I received one as a gift from my Aunt- sugar scrubs can be a bit pricey so I set out to make my own. 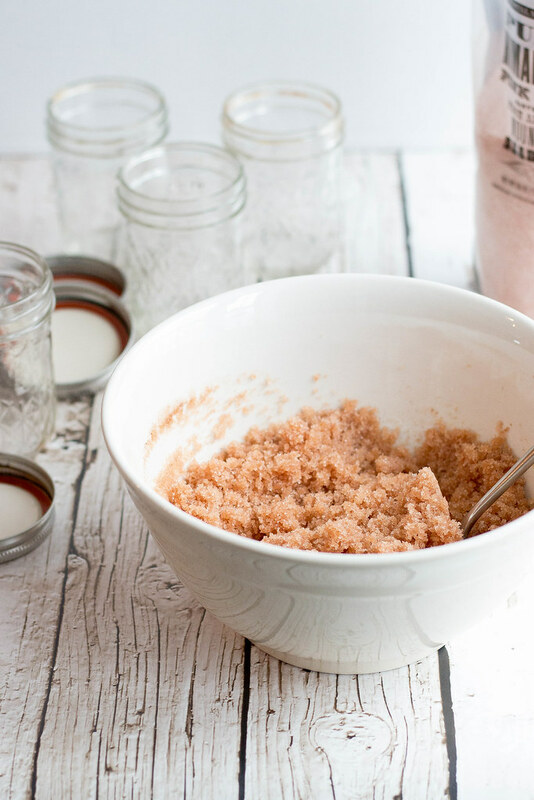 A few simple ingredients and you are off- you may have everything you need already in your pantry and cabinets. 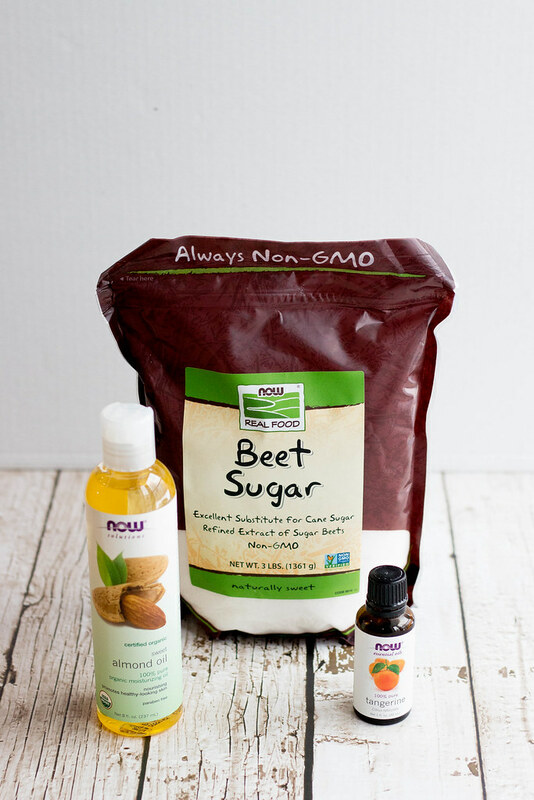 Any carrier oil can be used, however sweet almond oil hands down is my favorite. 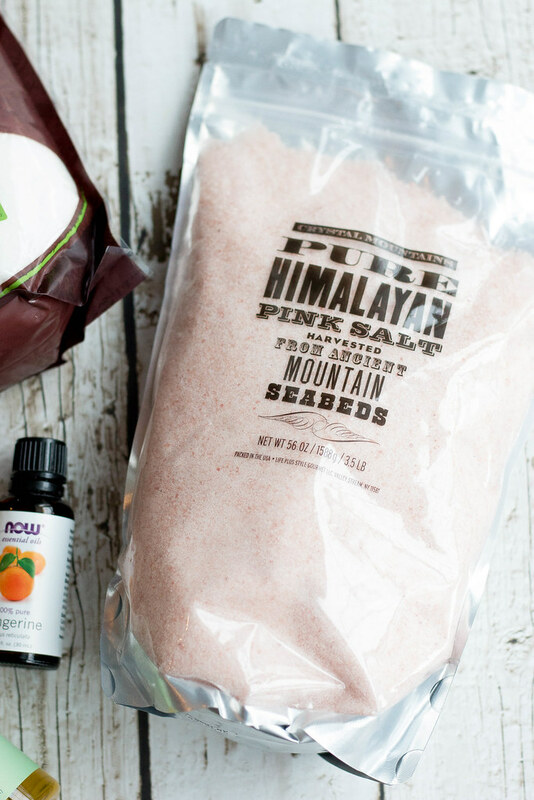 You can definitely use olive oil or coconut oil if that is what you have on hand. 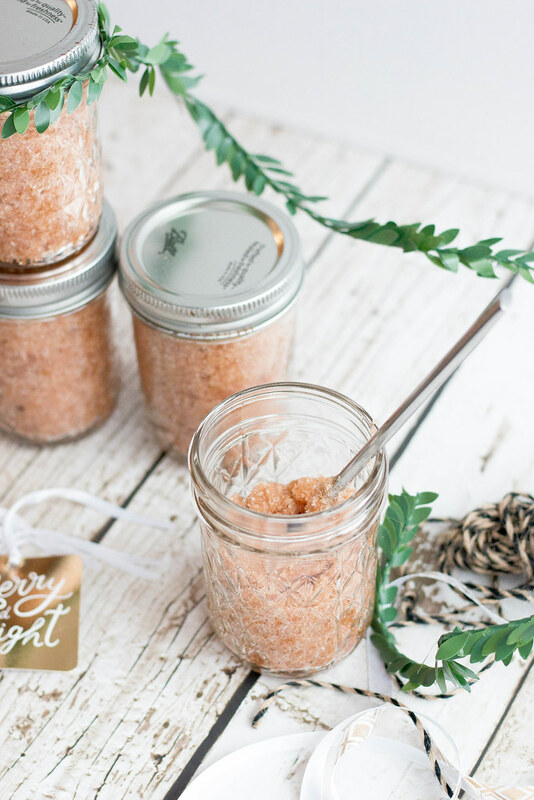 In addition to the oil pick your favorite skin safe essential oil *- here I used Tangerine, the combination of the tangerine oil and cinnamon makes this scrub smell like a creamsicle. 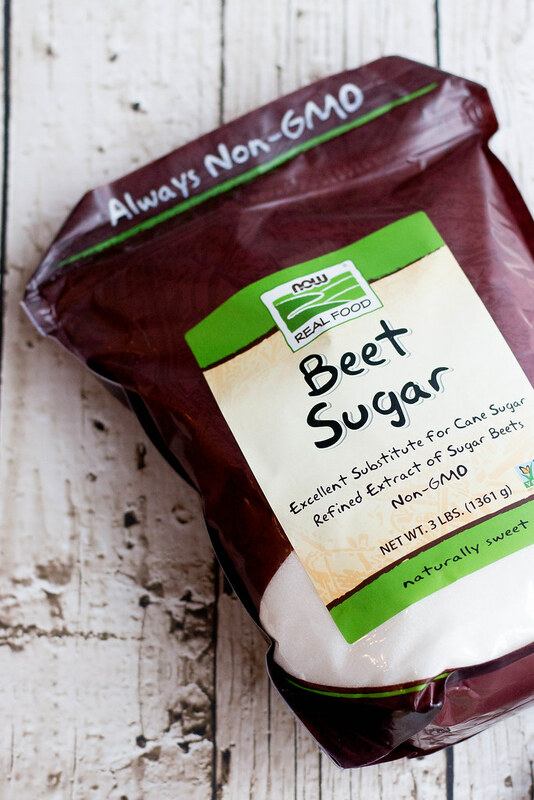 Then of course sugar + salt- in this case I used beet sugar and pink sea salt. You then simply add all your ingredients into a bowl and mix thoughtfully. 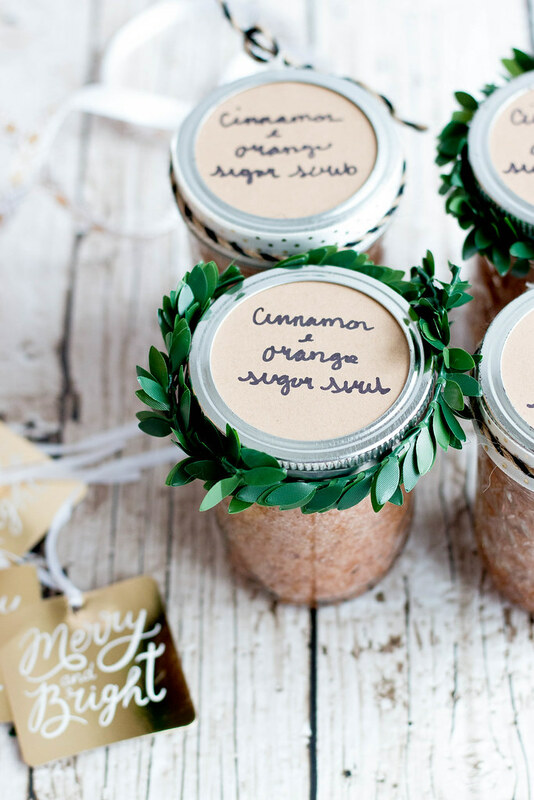 Package into little jars and decorate pretty. Hand written labels are more personal than printed and in my opinion prettier for a gift like this. Once you are all packaged up give them away- but make sure to keep one for yourself! 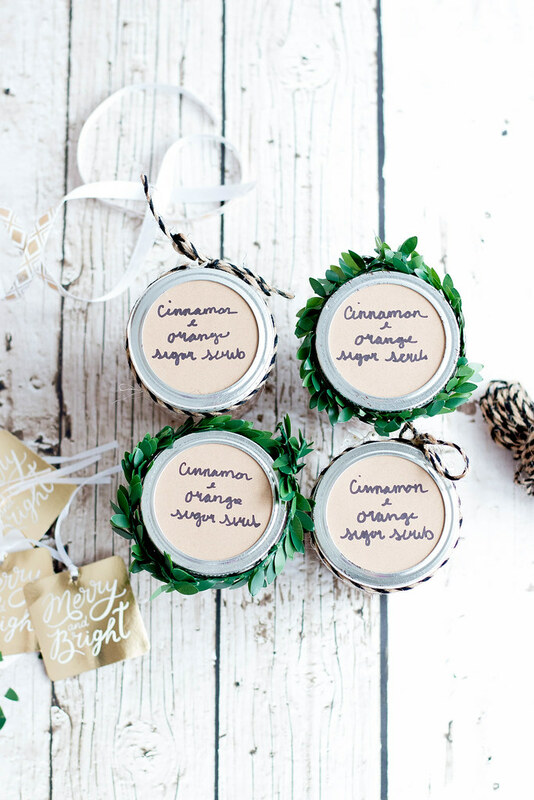 NOW and I want you to recreate this awesome scrub at home, to give you a head start enter to win a sugar scrub bundle below! Add all ingredients to a medium mixing bowl and mix until well combined. 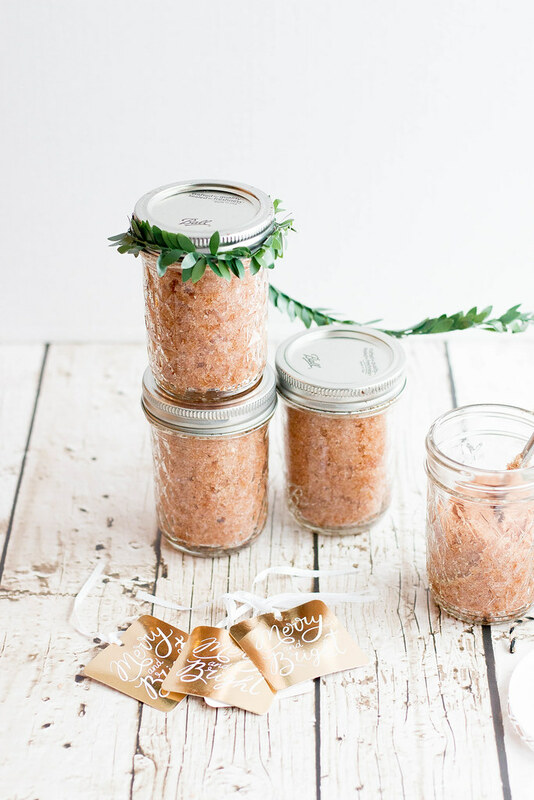 Scoop into small airtight jars and package up pretty! Certain oils can be applied to the skin, though it is very important to use caution when doing so. Pure essential oils are highly concentrated and need to be diluted for safe, topical use, usually with a carrier oil such as Almond, Coconut or Jojoba. Using essential oils properly requires the right mix of knowledge and responsibility. Since most are highly concentrated, it is very important to use caution before allowing an oil to come into contact with the skin to avoid irritation. Never consume an essential oil, or apply it directly to your skin, without first learning whether or not the oil in question is appropriate for topical use and how to properly use it. I love to use essential oils for meditation. 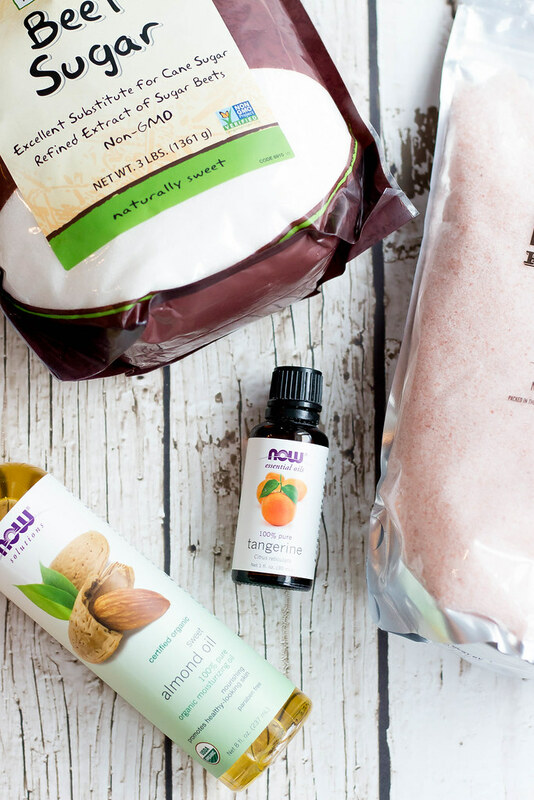 I love essential oils for freshening our bedroom and the guest room! I have never used essential oils but would love to have a chance to give them a try. I *used to* have chronic bronchitis. I haven't needed antibiotics in over a year thanks to essential oils! I love to use essential oils in the laundry. I love to use essential oils on my homemade potpourri and sachets. They smell so wonderful and so easy to add more when they start to lose the scent. I bet you guys will find this site quite compelling too, they have a lot of good articles with tutorials and useful guides. window box planters will help bring the beauty of your garden right up to your home’s eyes on the world and provide a lush addition to that patio’s décor. Imagine how nice it would be to look out of your kitchen window this summer and see and smell the herbs you’ll be adding to tonight’s dinner. Banana pan cakes, it is looking so delicious and I love food items made by using banana. Your site is awesome. I should try out this recipe one day. And do you know how to make banana wine? Keep posting more wonderful recipes. Great Work! The site is really interesting and meaningful. The attraction is catches by providing interesting and attractive figures and design. Site having detailed description of each product. In addition with their interesting colorful image. Thanks for taking interest to do like a site. i really benefited from here that you have given here details. thanks.